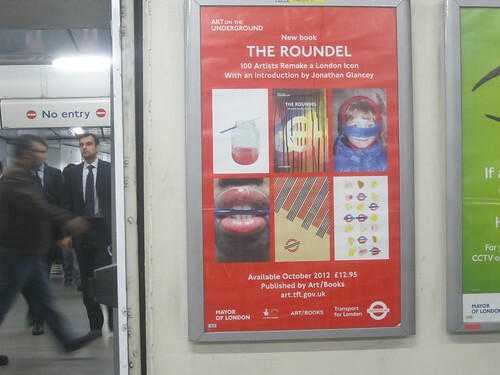 Look out for a new book by Art on the Underground & Art / Books to be published on 22nd October. We've seen a number of "re-mixed" or "mashed up" Tube maps. In The Roundel: 100 Artists Remake a London Icon, the title reveals all as one hundred international artists have re-imagined the London Underground icon through photography, drawings, paintings, collage, sculpture and print. 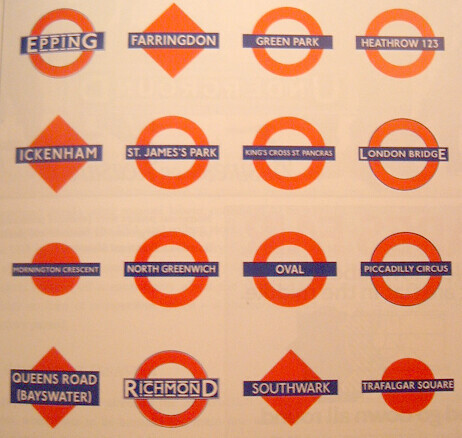 the ‘bar and the circle’ as the Roundel was originally known, was originally introduced to highlight station names on platform walls amidst the chaos of commercial advertising posters. One of the artists Juneau Projects said of their roundel artwork, Cockades of the Revolutionaries: "The Roundel, for us, is a symbol of anticipation and relief, a silent travelling companion, whether outward or homeward bound. A travelcard becomes a canvas for daydreaming of moles and guitars impossibly torn from its surface." The book will also have a launch event with a panel discussion on Tuesday 30th October at 7pm at the Hochhauser Auditorium, Sackler Centre, V&A Museum. Chaired by Jonathan Glancey, several artists who contributed to the book will be on hand to answer questions and throw light on the inspiration for their work. 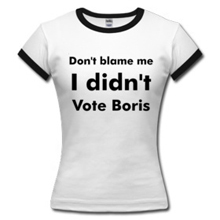 Find out more on Art on the Underground's site.